Crinkle paper is accordion style paper packaging. 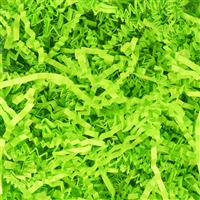 The bright orange color is perfect for spring or Halloween product lines and gift baskets. It is the perfect basket filler as no fluffing is needed! Use as gift basket packaging, shipping packaging or product packaging. 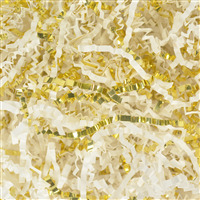 Cosmetic and soap makers use crinkle paper for gift baskets, shipping and product packaging. Gift basket sets of soaps and cosmetics to sell at craft shows are packaged with this paper. Shoppers are frequently looking for gifts for holidays, birthdays, hostess gifts and other special occasion. If you ship out orders of your handmade goods, use crinkle paper for elegant and sophisticated packaging. 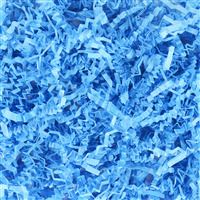 Finally, consider crinkle paper for your product packaging. 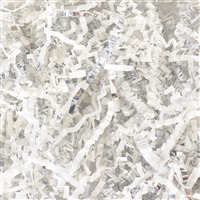 Items packaged in a cello bag or box will look more professional with the additional of crinkle paper. Gift Basket Packaging. Shipping Packaging. Product Packaging. COMMENTS: Love this as box filler!